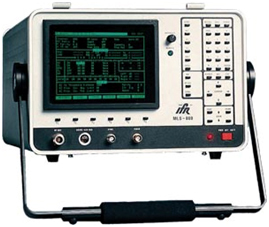 The MLS-800 is a microprocessor avionics test equipment controlled Ground Station Simulator developed to function from a bench test environment. The MLS-800 offers diagnostic test capabilities for microwave landing system angle receivers. Test parameters are chosen via a 44-position keyboard and displayed on test operational menus.